Since 1983, Susi Auto Repair has been serving the Monterey and Seaside areas. In our more than 35 years of experience, we’ve been a front-and-center witness to the profound changes in the automotive industry. 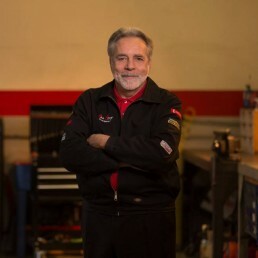 Every step of the way, Susi Auto Repair’s expert team of automotive technicians has stayed ahead of the steep technological curve, mastering the repair of today’s sophisticated, computer-driven vehicles. At Susi Auto Repair, we pride ourselves on being able to do everything that a dealership does, only better and across a wide range of both foreign and domestic vehicles. Our state-of-the-art, clean and efficient facility features all of the latest technology, allowing our expert technicians to quickly and accurately diagnose any problem occurring with modern vehicles. Once pinpointed, our professional ASE-certified mechanics can often complete even the most complex jobs in less time and at less cost than the best dealerships around. Unlike the anonymous, cookie-cutter experience one has when taking their car into the dealership, at Susi Automotive repair, we like to think of our customers as part of the family. As a family-owned, local business, we strive to treat every one of our customers as friends and neighbors. Our shop is the most responsive around, often being able to get our customers back on the road the same day. And we’ve learned that gaining the trust and earning the respect of our customers isn’t just about running a clean, dependable shop that delivers first-rate results; it’s also about treating people right, making them feel valued and at home. © 2019 Susi Auto Repair All rights reserved. Developed by Coastline Marketing Group.